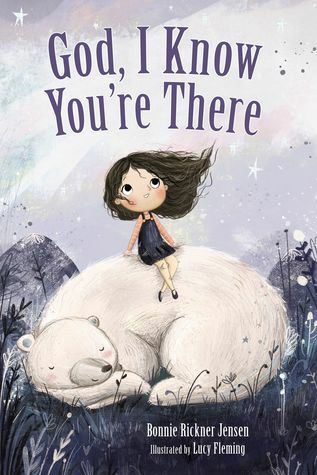 God, I Know You’re There was written by Bonnie Rickner Jensen and illustrated by Lucy Fleming. This book was published by Tommy Nelson, Thomas Nelson’s children division, a registered trademark of Harper Collins Christian Publishing, Inc. This is a twenty-four page board book for young children. “God, I can’t see You. Still I know You’re there. The sparkle when I care. So far, this is my favorite children’s book for this year. I really love the illustrations… One of them reminded me of Van Gogh. I also like that this is a smaller board book, so it’s easier to hold with a toddler and baby on my lap. thing like this before. So great to discover another person with unique thoughts on this topic. Looks like a cute little story!